More photos contributed by the Culkin family. "Buford Lane drove Corvettes for Washburn Chevrolet, from Santa Barbara, before retiring. 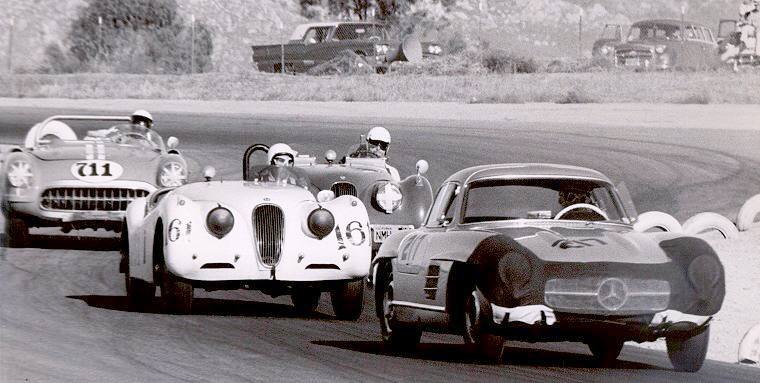 At Willow Springs, I believe in 1960, Dave MacDonald drove his first road race. On Sunday he started in the back. He flew by everyone, including Bondurant, to dice with Lane for the lead. Lane was driving the '58 or '59 # 614 car. The two of them rubbed fenders the whole race. On the last lap at turn one, a very dangerous spot in those days, both cars spun off into the gullies and soft sand. Why the cars did not flip over only God knows. MacDonald restarted his motor first and went on to win. 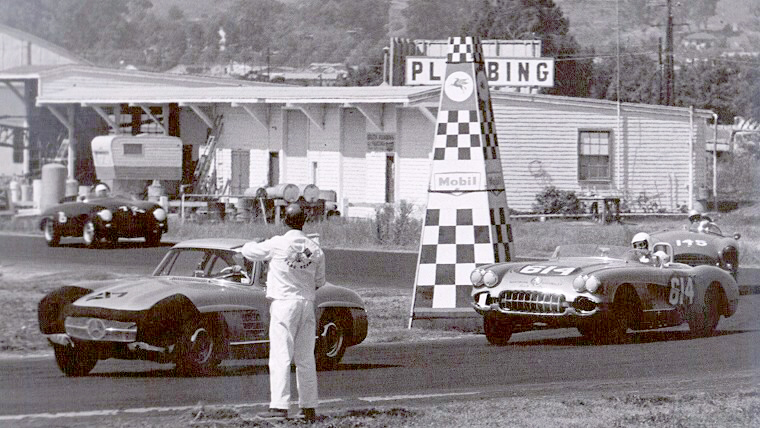 Both drivers where so far ahead of Bondurant and some other hot Corvette drivers that I and my friends where amazed. Even Bondurant still talks about that race. Buford Lane got out of his car, after the race, and I never heard of him again. Bob Bondurant got the Washburn ride. MacDonald's '57 Vette had chrome steel wheels, a chrome roll bar, tuck and roll upholstery and some fuzzy stuff all over the dashboard. We thought he was a real flake to show up at a road race with a car like that. Ha!" All photographs and text are the property of the Culkin family, Bill Norcross, and Tam McPartland and are protected under United States and international copyright laws. All rights are reserved and the images and/or text maynot be digitized, reproduced, stored, manipulated, and/or incorporated into other works without the written permission of the photographer, Bill Norcross, the Culkin family, and Tam McPartland.